Acrylic is highly recommended and useful material in advertising industry. We fabricate kinds of dispensers and displays in acrylic with the help of CNC machining, Laser cutting and engraving, Thermoforming, heat bending and molding. 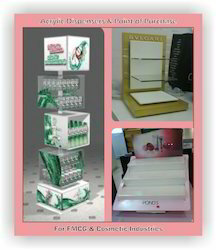 We translate acrylic sheet into brand displays. Leaflet & posters holders designed as per your brand requirement and size requirement. Table top dispensers, wall mounted, Ceiling to floor kits are designed and fabricated to your requirement. With the aid of our experienced team, we are devoted towards providing an exquisite range of Acrylic Soap Dispenser. We are one of the renowned organizations, involved in offering a wide gamut of Acrylic - Brochure Dispenser to our clients. Fascinated by its excellent design and long lasting feature our clients across the country widely demand our Official Plastic Dispenser. 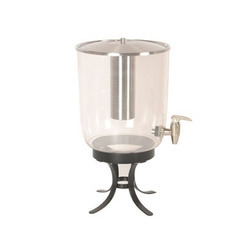 Our company has gained name and fame in presenting Acrylic Dispenser. Backed by a diligent team of professionals, we bring forth for our customers best Acrylic Tissue Dispenser.